Join us and dozens of other arts organizations ans community stakeholders during our monthly festival. Let us be your megaphone and bring the public to your space. Pair your creativity, your brilliance, your stories with a comprehensive marketing effort and wide reaching connections to make your experience a success. With several levels of partnership to choose from, you decide what kind of promotion is right for your event. To see the partner levels and plan your strategy, download our Event Partner packet. 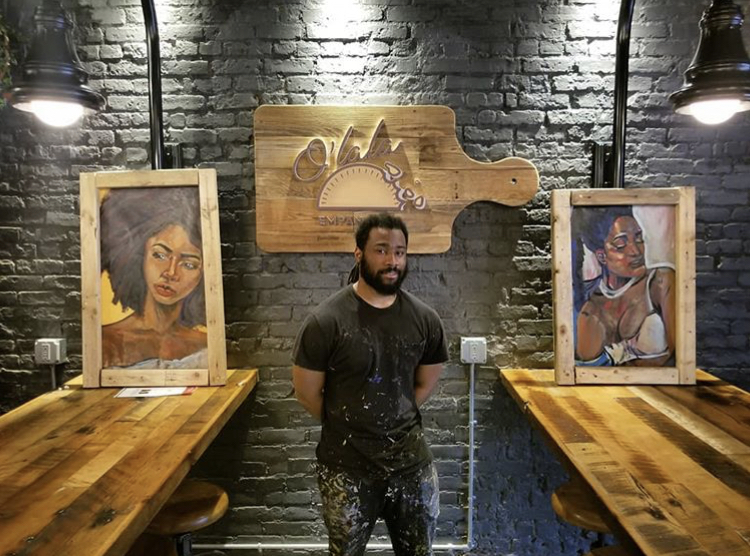 Sponsoring the Newark First Fridays Market or individual programs is an excellent opportunity to gain brand exposure and recognition within Newark's art scene and greter community. Join the group of collabortors who have supported Newark First Fridays in date and connect with thousands of people here in Newark. We need your help to make the festival a success! Newark First Fridays' volunteers help distribute marketing materials, get the word out about the festival using social media, support event hosts during the festival, and collect demographic information from participants during the festival. Stay tuned for the volunteer sign-up link coming soon! Footer, artwork Steve Green and Yendor Productions.